I Can’t Believe I Watched the Whole Show, and I Liked It! 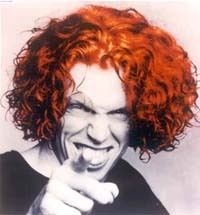 How long has Carrot Top been around and how famous is he? I don’t have a clue about the answer to those questions, and his web site certainly didn’t help me find out information. Carrot Top may be a publicity hound, but what does that have to do with his show? Nothing I guess. I enjoyed watching this show and I was surprised. Carrot Top does annoying commercials, kind of looks like the Wendy’s girl as he brings up in his show, but he is a unique type of comic. He is what I call a prop comic. I have seen this before in Las Vegas with a comic by the name of Joe Trammel. 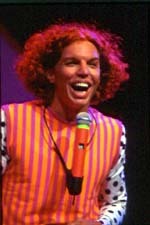 But Carrot Top is much more accomplished and has about four trunks of props he goes through during a show, maybe more. There is an old saying, “a joke a minute.” But Carrot Top has a joke more like every ten seconds, and if doesn’t work he makes fun of himself and his audience, which makes him even funnier. There is some pretty silly stuff that he does on stage, and the sheer silliness is funny. He even has stagehands to help him with props, and when the stagehands are seen moving off stage with an obvious visual ploy that doesn’t look like it was supposed to happen, he would make fun of the stagehand moving off stage not supposed to being seen. But he was seen, and Carrot Top pointing it out was funny, and I suspect it happened before once, and they just kept it in the show. 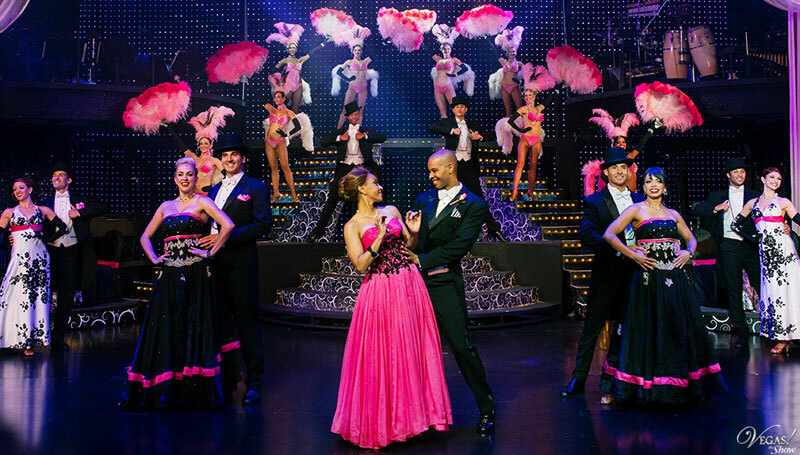 For me this show was supposed to be an easy prelude to the later show in the Luxor Atrium Theater. I had no real desire to see Carrot Top. It was a matter of convenience and a chance to kill some time with a show I have never seen. But I really enjoyed this show to my surprise. The audience also enjoyed this show. Don’t sell Carrot Top short. He has done this type of comedy for quite a while and knows what works with audiences. I laughed and laughed some more. My favorite jokes involved Las Vegas hotels. One was about the curtains that never quite close allowing a ridiculous amount of light in the room, and causing eyeball sunburn. 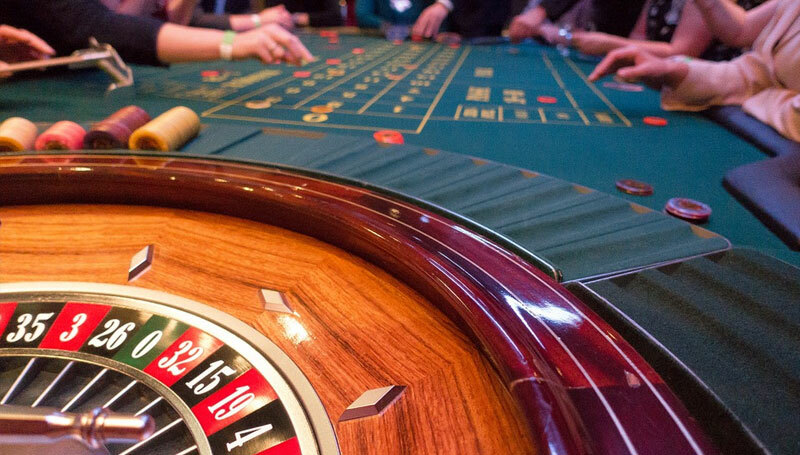 I understood that joke, as I am always fighting curtains in Las Vegas rooms to shut out all that light that is trying to keep me awake. Ok, I’ll admit it; you had to be there. And then there was him lying on the floor bathed in green light and his joke was this is what it is like sleeping in the MGM Grand when the stupid curtains don’t close. And then he made fun of MGM Grand, and then realized that MGM Grand now owns the Luxor. So this humor is a little disjointed, but it is still funny. While this may be one of the shortest reviews I’ve ever written, I am giving Carrot Top a strong recommendation. And I would have never guessed I would enjoy his show, yet alone enjoy it as much as I did. I give this show a 9.0 out of a possible 10. While this comedy is different, it is funny. I would say, go see it if you enjoy laughing at some pretty silly stuff. 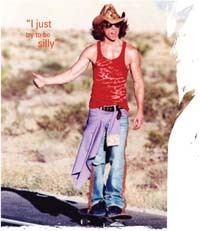 Normally I don’t like silly, but I liked Carrot Top and his six jokes a minute prop comedy.